JUNK FAXES - Recover up to $1,500 per fax! The Telephone Consumer Protection Act ("TCPA") prohibits unsolicited fax advertisements, and entitles the recipient to a minimum of $500 per fax, and even as much as $1,500 per fax where the TCPA was knowingly or willfully violated. 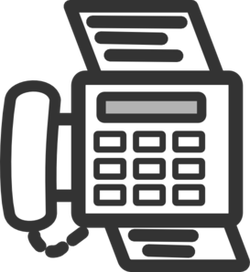 Every unsolicited fax must contain a notice informing the recipient of the right to opt out of future faxes, and provide a toll-free, 24-hour means to do so. The failure of the telemarketer to stop faxing more than 30 days after an opt-out request is also prohibited. You never published your fax number in a public directory, advertisement, or website.